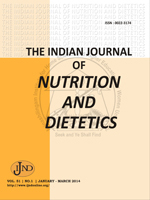 The present study was attempted to assess the extent of aflatoxin contamination from presence of discoloured kernels (DKs) in ready-to-eat (RTE) processed whole groundnut products sold in Hyderabad city in southern India. A total of 34/56 fried (FG) and roasted and salted groundnut (RSG) samples were examined for the presence of DKs. DKs were segregated from the samples and subjected to aflatoxin analysis either as single DK or pooled DKs using HPLC methods. The aflatoxin content in the RTE samples was computed from the aflatoxin levels determined in the segregated DKs as well as in the non-discoloured kernels (NDKs) and ingredients used for coating such as flour and spices. Analysis of 77 single DKs indicated presence of aflatoxins in 31% of the DKs at levels ranging from 0.007 to 1383.4 μg/g. Analysis of 17 pooled DK samples indicated presence of aflatoxins in 13 pooled DKs at levels ranging from 0.142-357.3 μg/ pooled DKs. The total aflatoxin content in the RTE samples calculated from aggregate of aflatoxin levels in DKs, NDKs and other components ranged from 0.001 to 2.779 μg/g sample respectively and was contributed mostly by DKs (90%). Aflatoxin was not detected in 22 samples that did not contain DKs. Presence of DKs in RTE groundnut products for direct human consumption can become potential sources of aflatoxin exposure to the consumer and methods to prevent their entry into processed foods containing whole kernels at post processing is urgently required. Aflatoxin Contamination, Ready-to-Eat Groundnut, Discoloured Kernels, Segregation, Fried, Roasted and Salted Products.